A BJP leader, Vasundhara Raje is an Indian politician. She is the current Chief Minister of Rajasthan. She served in the same post from 2003 to 2008. She is the first female Chief Minister of Rajasthan. Smt. 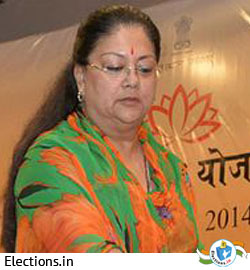 Vasundhara Raje was born on March 8, 1953 in Mumbai. She is the daughter of the last reigning maharaja of Gwalior of pre-Independence, Jivaji Rao Scindia, and Rajmata Vijayaraje Scindia, who was a political leader in the post-Independence India. Vasundhara Raje finished her schooling at the Presentation Convent, Kodaikanal, Tamil Nadu. She graduated with honors in political science and economics from Sophia College, University of Mumbai. She got married into the Royal Family of Dholpur, in the eastern Rajasthan. Vasundhara Raje married Maharaj Rana Hemant Singh, of the royal JatDholpur family, on 17 November 1972, but the couple separated a year later. Her son Dushyant Singh was elected to the Lok Sabha from her former constituency, Jhalawar.Her siblings are YashodharaRajeScindia, Industries Minister of Madhya Pradesh, the late MadhavraoScindia, the late Padmavati Raje 'Akkasaheb' Burman (1942–64), who wed Kirit Deb Burman, last ruling Maharaja of Tripura, and Usha Raje Rana (b. 1943) who married into the Rana family of Nepal. Vasundhara Raje began her political career in 1984. 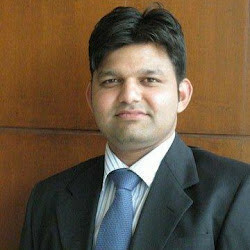 She became a member of the National Executive of Bharatiya Janata party (BJP). In 1985 she became the vice president of the Yuva Morcha of BJP in Rajasthan. She was also elected as a member of the 8th Rajasthan assembly from Dholpur in 1985. From 1989 onwards, she won four successive Lok Sabha elections from Jhalawar, Rajasthan. She is the present Chief Minister of Rajasthan. In 2007, she received the "Women Together Award" by the UNO for services rendered towards self-empowerment of women.